The Contempt of Court action filed against Bodu Bala Sena (BBS) General Secretary Ven. Galagoda Atte Gnanasara Thera over his alleged offensive behaviour inside the Homagama Magistrate’s Court amounts to Contempt of Court on January 25, last year was yesterday fixed for argument by the Court of Appeal. The Court of Appeal two-judge-bench comprising Justice Preethi Padman Surasena and Justice H.C.J. Madawala fixed the case for May 24. At a previous occasion, the Court of Appeal decided to overrule the preliminary objections raised by Ven. 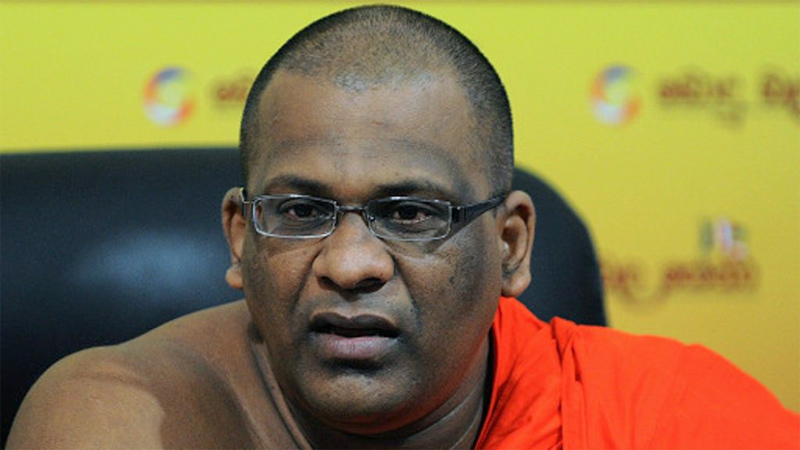 Galagoda Atte Gnanasara Thera against the amended charge sheet. Former Homagama Magistrate Ranga Dissanayake had referred the Contempt of Court action to the Court of Appeal since it is vested with powers to inquire such a complaint. On a previous occasion, the Attorney General filed the amended charge sheet comprising four counts alleging that the accused had committed a punishable offence which comes under Article 105 of the constitution. On a previous occasion, a charge sheet signed by Court of Appeal’s President Judge had been served on the accused. In a surprising turn of events, on January 25, Ven. Galagoda Atte Gnanasara Thera began to address Open Court after the court hearing pertaining to the disappearance of journalist Prageeth Eknaligoda was over. Later on, Gnanasara Thera was arrested by police on the charges of contempt of courts, obstructing Court proceedings and intimidating a public servant. Through the contempt of Court action, the Homagama Magistrate has sought Appeal Court’s jurisdiction to consider whether the alleged offensive behaviour and utterance of Gnanasara Thera inside the Court amounts to Contempt of Court. He further sought Court’s jurisdiction to take necessary legal action against Gnanasara Thera if the charges levelled against him amounts to Contempt of Court. Rev. Gnanassara is the guardian of Buddhism and the Sinhalese together withHon. Mahinda and Gothabaya Rajapakses in our country and they have so much to do for us, the Sinhala Buddhist, and the current govt. should stop these political revenge.